There are so many ways you can find about financial companies these days. Most of them use smart ads on different websites, that are then randomly distributed onto the audience. However, if you are someone who spends some time watching TV, you may have encountered some commercials from brokers as well. You see, the brokers know who their core audience is, or are just trying to find new prospects. Featuring commercials on some popular TV Channels really helps them tap into the slightly older generation, who is more versed in the trading industry and actually has what it takes to start. Today, we at ForexTradingBonus decided to tell you about some of the best worldwide Forex broker commercials we have seen. These are sometimes serious, emotional and even funny. We really like the funny ones and hope that you find them cool as well. However, a small heads up to not expect some kind of ranking. This is just a small list of the best ones. So without further ado, let’s begin. eToro has had quite a different approach to its marketing. It tries to appear a lot more friendly and accessible to newer players in the trading industry, but it doesn’t mean they are alienating the veterans. Even now if you go to their website you get this type of “newer” feel, but anyway, let’s talk about the commercial itself. In many commercials from big companies have we seen celebrities play a role of themselves or just represent the brand. Although eToro doesn’t utilize one of the most popular people out there, I’d say their choice was pretty good, in terms of what they were trying to promote. The commercial starts with Kristian Nairn having a conversation with his Agent about potential offers from companies about advertising. 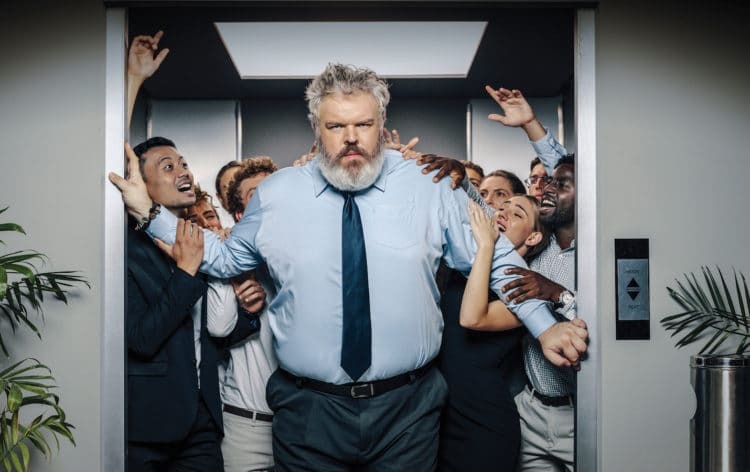 After all of them having to do with his notorious character Hodor, just carrying something on his back, Kristian gets angry and asks for an offer that requires him to be well dressed in a nice office. It then cuts to an elevator where many traders are crying out about Bitcoin, on how it is crashing, how it’s a bubble and how its time to sell. Kristian looks into the camera, annoyed and says these words “HODL, HODL, HODL”. Which just means to hold onto your assets and see where the market goes. Sure it may still refer to his character Hodor, but at least he got the suit and tie he wished for. Same things can be said about SimpleFX and how it markets itself to the public. They’re very connected to the young and ambitious audience while also accommodating the older generation. Their ads are few to choose from but that’s what makes them unique. In their advertisement “Making the right decisions” the daily struggles and life of a trader are displayed in the beginning. For example, a young man is sitting at his computer in his apartment looking at charts, and it’s clear that he is stressing out about something. This is followed by a narrative about how there is no one way to achieve success. Where it would come to you from either working hard or plain old luck. It is illustrated in the commercial how a “rookie” trader could become a very successful one through one right decision when making a trade. We see the young man jump from his seat with excitement, which clearly indicates a successful trade he made. After getting the look at his apartment, where everything is yet to be unpacked, it’s all messy and small we then get a shot of the man driving a Porsche with beautiful girls. Sure it may seem corny on the surface, but the message is right. It is possible to become very successful through 1 successful trade. So keep grinding. Etrade was able to surprise us all with their amazing commercial for the Superbowl in 2011. It was unexpected but welcomed with open arms. I believe that it is one of the funniest commercials I have ever seen done, by all the company standards, not only the financial ones. This perfectly illustrates how unnecessary things could strip you of money when there are more productive places to invest them in. But c’mon, a dancing monkey for $2 million? That’s a steal! FXPro has had many commercials over the years, all becoming better than the other. However, many of them took a look of inspirational and motivational videos, which are something that the customers aren’t looking for anymore. However, there is one commercial that stands out from all of them and we call it the “Journey of an order”. In this commercial FXPro displays what exactly happens when you make a “Buy” order, by showing a world of fantasy full of gnomes, flying ships, robots and of course, bulls in suits. Esentially what the broker is trying to showcase here is the efficiency of their platform, how your order is translated on their platform, how it goes through their security system to be the best-optimized one and most importantly, how it actually turns into another currency, which is then able to be displayed on your monitor. The whole commercial is animated and cartoonish, which makes it even more enjoyable to watch. This may not be a commercial completely connected to Forex, but it is done by a CFD broker nonetheless. Plus500 is one of the most popular ones out there as well, they have even been named as one of the best Forex brokers in South Africa, because of their popularity there. So for them to have a lot of commercials is not surprising, however, this was our top pick. Why do we call it “Underwear Commodity”? Well, you’ve probably already guessed it, there’s underwear in it. But not in a corny way, Plus500 was able to demonstrate a really nice strategy and understanding about trading in general. It is not necessarily about currency trading, it’s mostly about stocks. Here’s how it goes. A man is standing at an entrance of a hotel, from which, by the looks of it a female celebrity is exciting, with paparazzi taking her photos, fans screaming at her and bodyguards escorting her. Unfortunately for her, there is a man with a wind blower trying to clean the entrance. He turns around and accidentally blows the wind towards her, lifting her dress and showing her underwear. The underwear is branded, which the guy just standing at the entrance sees and immediately opens the Plus500 app to buy a stock from that company. Because he knows that the moment paparazzi upload these photos, every fan will want to have a pair of that same branded underwear, ultimately increasing the stock price of the brand. There are so many more commercials to be showcased from Forex brokers, but these ones were the funniest, most educational and engaging in our opinion. Tell us if you have a favorite one yourself.